I hope YOU are well and life is fabulous and inspiring. Today, I am so thrilled to introduce you to my teacher and mentor Dave Buck, CEO of Coachville LLC, Master Certified Coach and founding member of the transformational leadership council. Coach Dave has changed my life with his wisdom and the concept to bring more of the spirit of play into people's lives. That was one missing element in my life. For whatever reason, I turned everything into a chore. Even when I liked what I was doing, after a while I lost my joy in it and it turned into an energy drain. At 57 years old I decided to change my career from interior design and real estate to coaching, this not only changed my career but also my behavior and my way of thinking. Most people told me, oh no way YOU are too old to start a new career, but I think YOU are never too old to start a new life. All we want is to be happy, to live a life that’s interesting, stimulating with meaningful, supportive relationships around us, it's never too late for that! 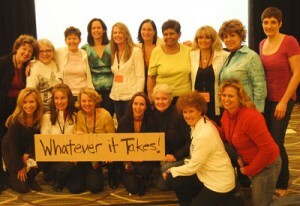 Find out why and how having a coach can change your life. Coaching is helpful for people who want to get better at something in their life. Athletes have coaches to get better at their game and the same concept applies to personal coaching. Live healthier more balanced lives. Not only that, it will give you a wonderful support system, someone who believes in YOU. How does it work for YOU when YOU are left to your own devices? When YOU listen to the interview you will hear what just happened in a coaching session I had last week, a new insight I got that might improve my life even more. A coach can help YOU see situations in a new light and help YOU find the answers within yourself. Yes it might sound kind of wowoooo, but that’s how it works. Ok, I will stop now, enjoy the audio and if it inspired you please leave a comment. Oh, I almost forgot, if you get inspired by our conversation and would like to try a session. 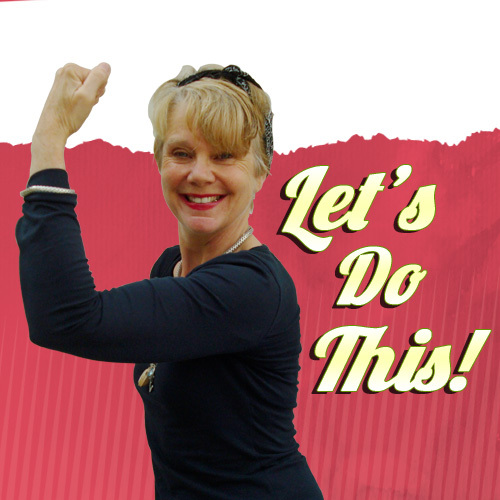 Take advantage of my fabulous offer: A 30 minute exploratory coaching session with me. 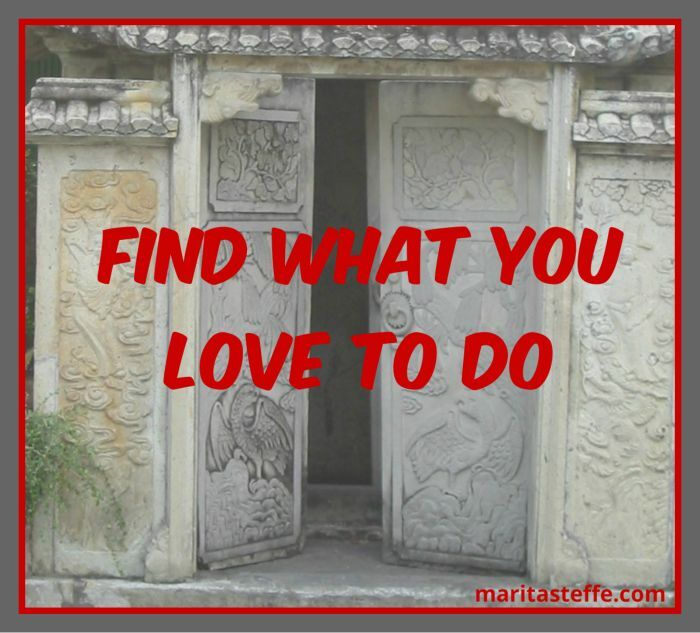 It's my gift to YOU and it might give YOU some ideas on how to bring more fun into your life. Just click the contact tab and let me know. Welcome to another wonderful week and a new chance to do something excitingly creative, even if it’s a simple thing. 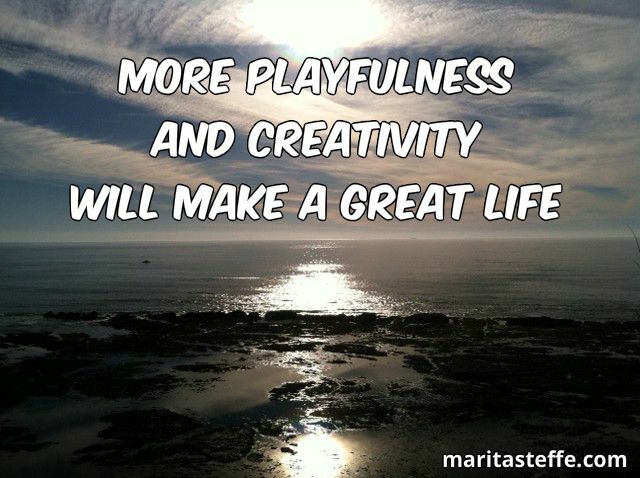 It's essential to bring more playfulness and creativity into YOUR life if you want to be more successful and happier. 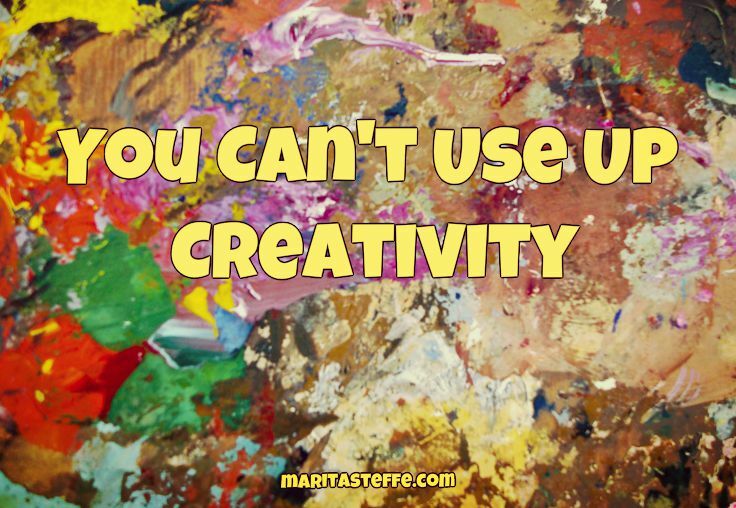 A creative life is being in the flow, trying new things and living life as a fun adventure. No, it does not mean you have to go on a safari, master an art technique, climb Mount Everest, or go skydiving, unless YOU are attracted to this kind of adventure. It’s more about doing something new, something that excites YOU. Simple things can work just fune, like an art class, a poetry reading, the museum, a dance class or maybe to learn Italian…… Maybe it’s a book club, a meditation group, or YOU might want to check out a meetup group to connect with people who have the same interest, or maybe YOU always wanted to try a meditation class……….Let YOUR imagination run wild. I remember being on a flight from Amsterdam to San Francisco and I found a great article in the KLM flight magazine, that totally inspired me. It was about a successful blog with the topic of micro adventures within the local area of Amsterdam. For example bike tours, hiking tours, walking adventures around town or boating on the next lake or river, basically to have a great adventure within 10 miles of the city. I found it very fascinating and try to incorporate it into my life as much as I can. Sometimes it just requires more presence, to see the adventure in little things. I love to go to the local thermal bath, it’s a beautiful walk through the park. I enjoy the birds, the flowers, the trees and it just makes me happy to absorb everything and I hear myself say: I'm so lucky, my life is great, everything is so beautiful. When I’m at the bath, I participate in the aqua gymnastic, swim outside under the trees in this wonderful thermal water and I enjoy the meditation they offer. It’s my adventure and it helps me balance my life. I feel totally nourished and happy. 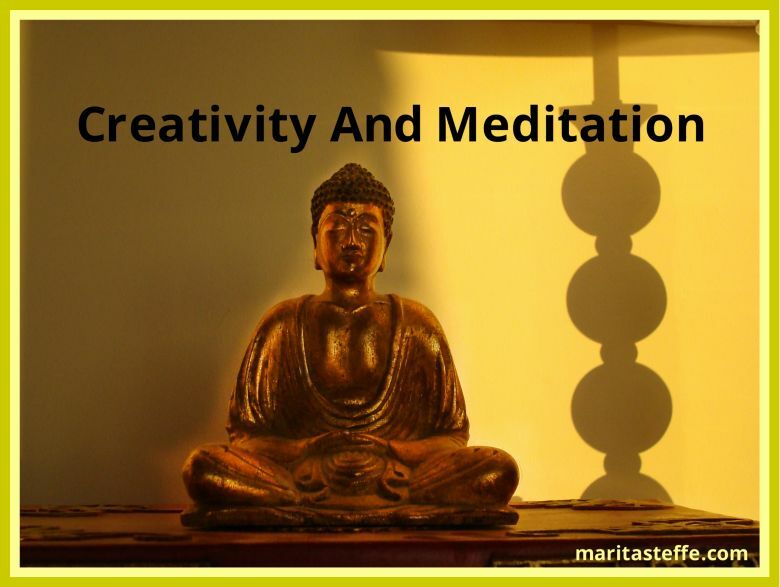 To bring more creativity and play into a busy life, can be that easy. Sometimes it might be just to change YOUR perspective. Let’s say YOU have a long commute and find yourself complaining about it. Well, there might be nothing YOU can do about the commute, but maybe YOU can change something about how YOU commute, maybe books on tape or some great audios will help you to turn it into a fun cruise. This might apply to other parts of YOUR life, family, life partner, business, work and friends. Think about a constant complaint that comes up and try if YOU can change something, if not drop the complaint and try to change YOUR perspective into something that’s positive. That's also being creative! Try this fun exercise: Be aware and catch yourself every time YOU say: I need to work on something, work on the painting, work on the golf game, “work on having fun”. It’s pretty ridiculous to call all fun activities work. Let’s exchange the word “work on” with play on, or have fun with. I want to have fun with my painting, have fun with cooking, have fun playing golf, have fun doing anything. Instead of having to go to work, it might be: I will go to play at work, I will playfully connect with people and I will come up with creative solutions to problems.……..Do You feel how it changes the energy? From dreadful to playful? I love this practice, it has changed my life. If YOU give it a chance, it will change YOURS. This is part of living a creative life. YOU will create a life that works. 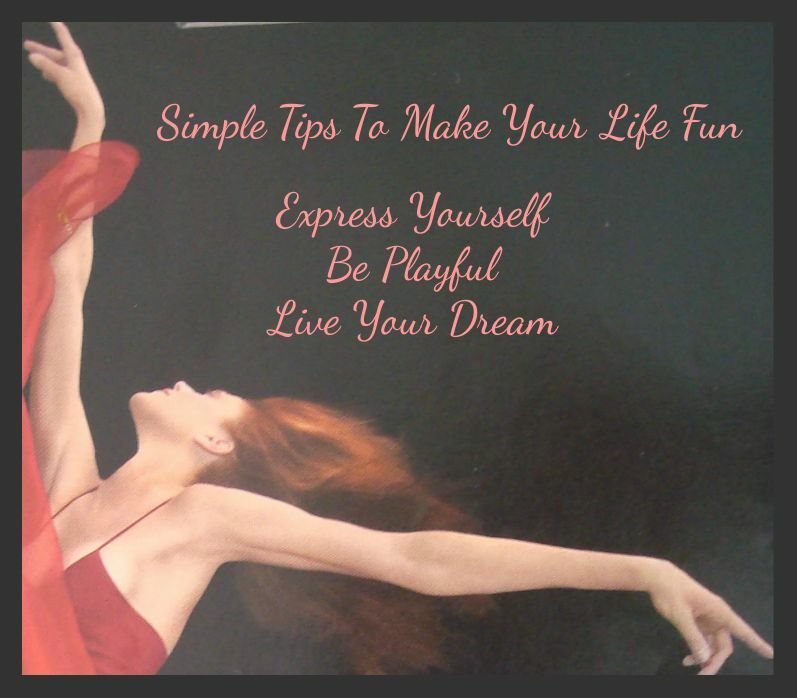 The more fun YOU have, the more playfulness YOU can bring into YOUR life the happier YOU will be. Yes I know it sounds simple, but I’ve been practicing this for the last few years and I am happy, exited and I love my life. My life is not perfect, there are problems with people, places and things, but I choose to deal with them in a way that’s creative and empowering. Empower yourself: Instead of living from vacation to vacation, let’s create a life that we don’t need to escape from, let’s make it fun! Do YOU have a little, adventure YOU would like to share with us? Please leave a comment below. 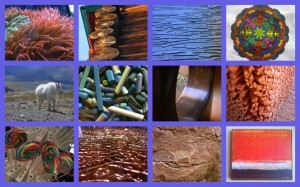 "It is play, no properness, that is the central artery, the core, the brain stem of creative life. The impulse to play is an instinct. No play, no creative life. Be good, no creative life. Sit still, no creative life. Speak, think, act only demurely, little creative juice. Any group, society, institution, or organization that encourages women to revile the eccentric: to be suspicious of the new and unusual: to avoid the fervent, the vital, the innovative; to impersonalize the personal, is asking for a culture of dead women." I love this book, it is so close to my heart. 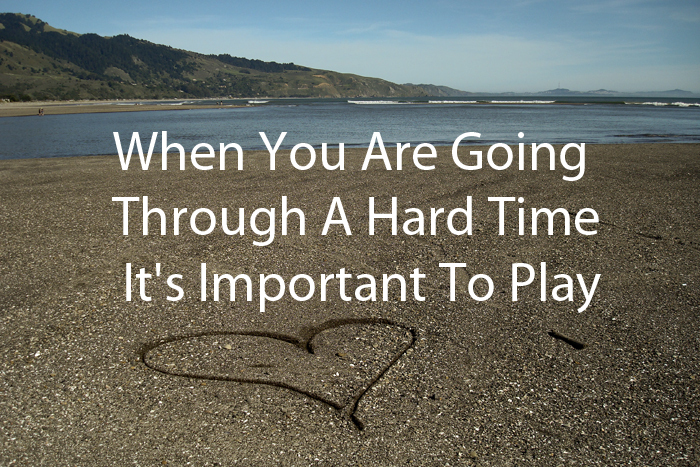 We cannot be reminded enough how important it is to play. Routine is a killer to our creativity. We all know this, but we still go for routine, no wonder that most women are stressed out, bored and have no energy. Too many things to do, too much work, taking care of others, too much cooking, too much cleaning, too much responsibility. But very little fun, no wonder lots of women start drinking or taking drugs, legal or illegal to just survive.